DGUSA returns to LIVE iPPV September 10th !!! CHICAGO- We hope you are enjoying your Labor Day Weekend. We want to alert you that Dragon Gate USA returns to worldwide live iPPV at www.WWNLive.com one week from tonight for "Untouchable 2011" from Chicago. In fact, this email was sent exactly one week from the starting time of the iPPV. Watch DGUSA "Untouchable 2011" on September 10th at 8pm Central and 9pm Eastern Times. Pre-order it now at www.WWNLive.com to see the epic DGUSA Title Match as Japan's top rivalry comes to the United States for the first time when CIMA challenges Open The Freedom Gate Champion YAMATO. This card is shaping up as the biggest DGUSA event of the year with the huge title match, the one-on-one bout between PAC and Ricochet and the DGUSA debut of ECW original Sabu. We have a look at the entire lineup below. If you are within driving distance of Chicago, make sure you attend this event live. This is your only chance to see the stars of Dragon Gate and experience DGUSA live in 2011 and there is no telling when we'll be back. The best part is you can save 30% on Golden Circle tickets until Sept. 7th in the www.DGUSA.tv Store or by calling 267-519-9744 . No codes are needed and the tickets are already discounted. Tickets will be full price at the door so act now. 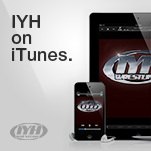 We also want to alert you that www.WWNLive.com has a growing library of iPPVs On Demand. Please go browse our site. The re-edited version of "EVOLVE 9: Gargano vs. Taylor" is now available. We also have every DGUSA show this year except for the last cable PPV. You can watch any of our iPPVs as many times as you want forever and get $5 off the DVD. 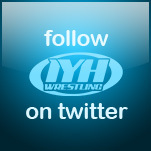 Catch up on some great wrestling action this weekend!!! The re-edited version of EVOLVE 9 has perfect sound and picture quality. We have also added some newsworthy backstage promos. This is the event that features the must see Dave "Fit" Finlay vs. Sami Callihan war that is getting a lot of press and attention. Gabe Sapolsky says "Finlay vs. Callihan is a very special match, one of my favorites on any show I've ever been involved with and that includes ECW and ROH. I know that's a big statement, but I sincerely mean it. In fact, I'll even go as far as to say it reminds me of Joe vs. Kobashi. It's that special." REMINDER: Both www.DGUSA.tv and www.EVOLVEwrestling.com have a very rare 30% off sale on DVDs, shirts and gear. Use the code "Chuckie T" to take advantage. We haven't done a sale this big since last Christmas and won't do one like this again for months. Go to each site for more info on how to use the "Chuckie T" code. Watch on live iPPV at www.WWNLive.com. Tickets now on sale in the www.DGUSA.tv or by calling 267-519-9744 . Golden Circle tickets are 30% off until 9/7. They are already discounted and no code is needed. ECW original Sabu Will Be Available For Pictures & Autographs!!! Participants: Gregory Iron (endorsed by CM Punk), Sugar Dunkerton, Silas Young, Facade, Cedric Alexander, Marion Fountaine plus more to be added!!! -Thank you for reading and have a great Labor Day Weekend. Survival analysis in social neuroscience and public health: A research exemplar from the field of cognitive epidemiology. Weight fixation is not the only leading cause of eating disorders. Fresh, local Bedouin fare is served in the tented Al Hor restaurant. It was held to determine whether some of Roy's co defendants should be jailed pending trial.One of those co defendants, a nurse and Dallas home health agency owner named Charity Eleda, previously worked for Onyegbu. Simply switch to purchasing non toxic household and personal care items, and you will be doing your liver a favor! Reducing the excess burden on the liver will enhance its potential to increase your overall health today and ensure that it is more likely to operate long into the future!.